It’s a big weekend for Baltimore… and beyond. Beginning today, people from all over the country will be coming to Belgian Beer Fest 2019 and then on Monday Sour Wild Ale—both happening at Max’s Taphouse, at 737 South Broadway in Fells Point. At Belgian Beer Fest there will be over 200 Belgians on draft and over 200 different Belgian beers in bottles. 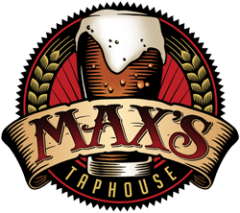 I spoke with Bob Simko at Max’s Taphouse about this incredible event. And while all of these are imported from Belgium, there is no doubt that these are all craft beers. There is a wide variety of flavor profiles in Belgian beer and Max’s Belgian Beer Fest is a great time to explore these different styles. As 100.7 The Bay’s Huber and I have worked together, we’ve had a lot of fun telling beer stories and talking about beers we love. And Huber loves Belgians. So, can you give us a recommendation from Max’s list? Then on Monday it’s Sour Wild Ale Day 2019 including some excellent American craft beers. Sour and Wild Ales are often thought of as being one style because each is often—but not always—sour… but they are absolutely different. Now as much as Huber loves Belgians, he loves Sours and Wild Ales even more, so he’s the guy to talk to! What are you looking forward to on Monday? I’m thirsty! 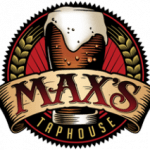 Time for a beer at Max’s Taphouse! It’s Belgian Beer Fest right now and then on Monday, Sour Wild Ale Day!